Making funeral arrangements is far from the easiest tasks but you’ll have to decide about several very important things immediately. Did your loved one ask to be cremated? In this instance, you’ll have to choose the right urn. Buying the right urn is one of the last acts of love you can perform after the death of a person that meant a lot to you. Forever Shining has an extensive collection of quality, unique earns that are made of durable and beautiful materials. Stainless steel is a classic option for an urn because of its sleek finish and the coolness of the material. Our urns come with a marble stone inlay and they could feature laser-etched inscriptions, photographs and motifs. Photo overlays are another possibility. The appearance of this stainless steel urn with porcelain inlay can easily be customised. Coloured background can also be used to transform the urn completely. This is a marble stone inlaid, stainless steel urn that features laser-etched visuals. 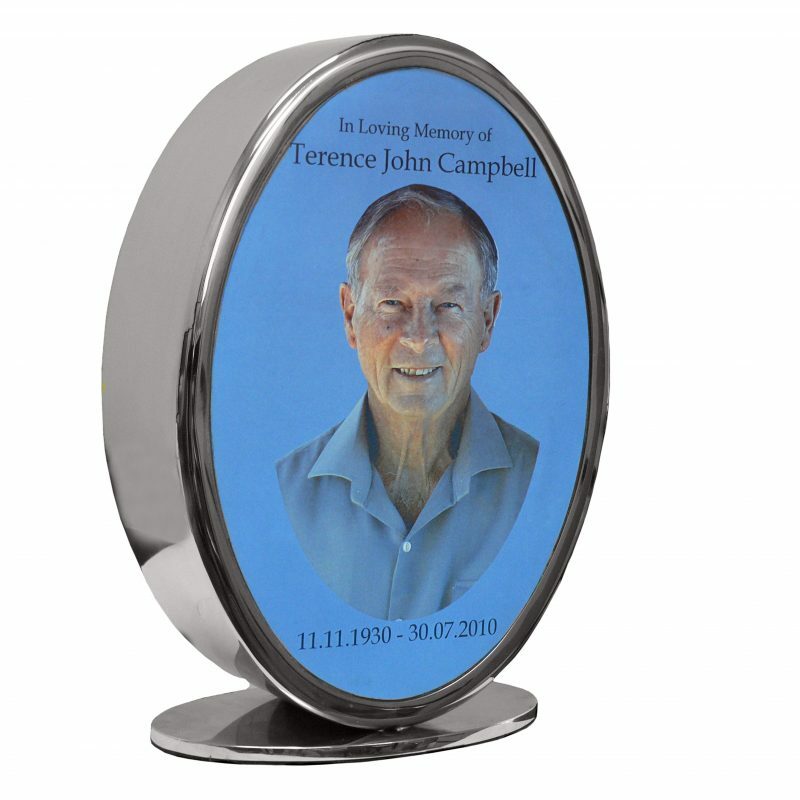 This type of urn comes with an exceptional degree of customisation. The laser-etched visuals can be used to say a bit more about the personality of the deceased individual. 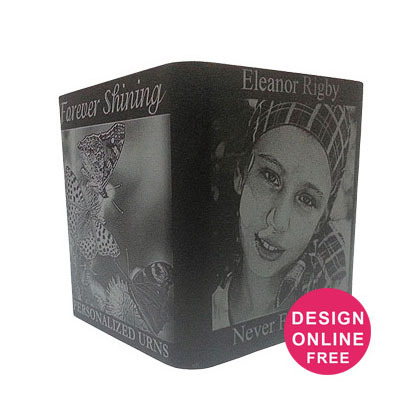 The urn is also made of stainless steel and it features laser-etched images. This style of urn can be created in several shapes and you’re free to use our online tool and work on your unique design that we will execute flawlessly. Stainless steel urn with marble stone inlay. Options include laser-etched inscriptions, photos and motifs, as well as photo overlays. Stainless steel urn with porcelain inlay. Many options including coloured backgrounds, photos and motifs. 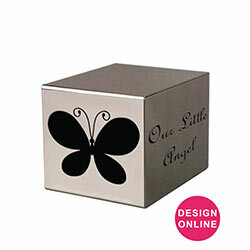 The Black Anodized Cube Urn. 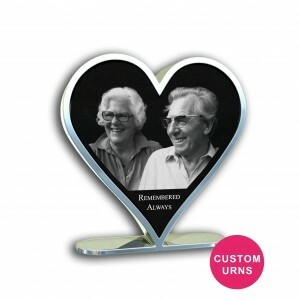 Options include laser-etched inscriptions, photos and motifs, as well as photo overlays. In Australia we delivered and we’re still delivering to Sydney, Melbourne, Perth, Canberra, Adelaide, Hobart, Darwin, Gold Coast, Newcastle, Wollongong, Alice Springs, Townsville, Geelong, Bendigo, Queanbeyan, Toowoomba, Albury, Mount Gambier, Wagga Wagga, port Augusta, Ballarat, Mackay, Nowra, Logan City, Whyalla, Port Pride, Murray Bridge, Wodonga, Tweed Heads, Launceston, City of Lake Macquarie, Hervey Bay, Bathurst, Rockhampton, Tamworth, Dubbo, Kalgoorlie, Fremantle, Broome, Mooroopna, Dubbo, Kalgoorlie, Cairns, Gladstone, Canberra, Darwin, Sunshine Coast, Melville Island, Bathurst Island, Kangaroo Island, Groote Island, Frazer Island, King Island and many more remote locations.